Quality applications drive your job board business or career center as the go-to-destination for advertisers in your market. I bet you have received the question from advertisers as to why they should publish on your job board instead of let’s say Indeed. And, it is safe to say your response centered around the quality applications your job board delivers. For advertisers, why post on a generalist site to only receive a small percentage of quality applications and have to spend majority of their time parsing through potentially hundreds of unqualified applications. Doesn’t sound fun or efficient. And, that’s where your job board comes in. 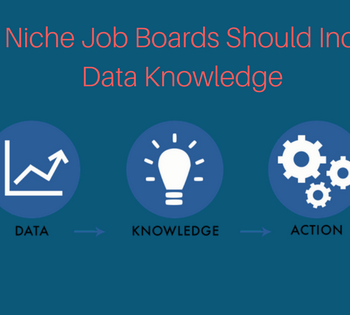 How do you ensure your job board is optimized to generate quality applications? Well, this may surprise you, but it is an accumulation of site improvements that will generate your intended results that many job boards haven’t explored. Unfortunately, there is not just one magic bullet! I’m going to show you how to optimize your job board for quality applications. What percentage of your job board traffic comes from mobile and tablet vs desktop? 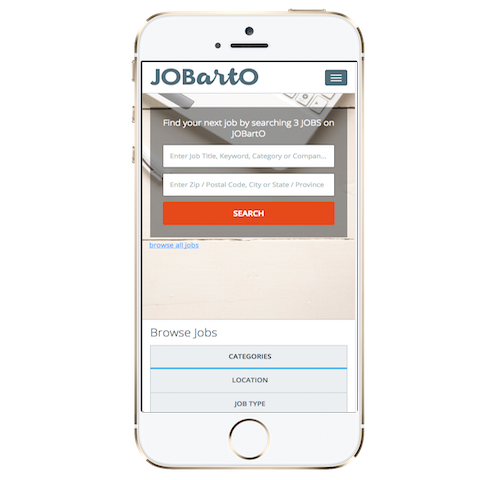 On average, 70% of our client job board traffic visits via mobile and tablet vs desktop. And, that mobile number continues to increase year over year. I understand from our daily conversations with job board owners, you may be battling internal challenges as to why the necessary improvement to responsive design. As previously mentioned, we anticipate your yearly mobile traffic has been increasing. One key metric in Google Analytics for you to review is the bounce rate when comparing your traffic sources. This will give you a high level indication of how your users are responding across different devices. If that bounce rate is high, responsive design can significantly reduce that number and increase the users time on the site with the hope they ultimately register. b). Your website will adapt to the size of any screen it is viewed on. Google recommends a responsive website design pattern. By focusing on delivering a consistent ‘user friendly’ experience across all devices, Google will reward your site in the SEO rankings. When you are adding new functionality to your job board, you only have to update your code once. Instead of the existing approach of two different versions; your desktop and mobile version of the website that would force your team to make updates in the two areas. This is by far one of the greatest benefits of having a responsive website. Unresponsive websites usually distort the way your website appears on devices like mobile, and tablet. This forces the user to zoom in to be able to see the information on your website. 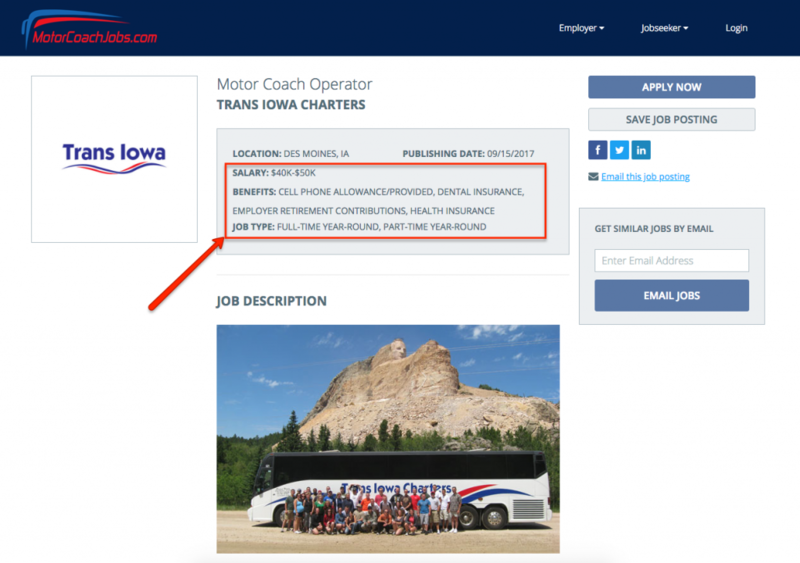 With a responsive design website like Motor Coach Jobs, the job detail information and call-to-action buttons are clearly and easily accessible for the user. On a search page like the one shown below, the primary goal is to encourage the user to click and view the full job details page. Help them with your design! And, secondly, your site users can use the complete functionality of your website on any device. Unfortunately, we have heard horror stories, where a job board had to manually handle job applications that came through their mobile site. Avoid that unnecessary time waster! Your team has spent a considerable amount of time and money through marketing initiatives to drive traffic to your job board and for users to apply. Typically, a vast majority of your advertisers want the application traffic to be directed to their corporate site (or ATS). This is quite common as in some instances, we have heard the number of 85-90% of traffic going to external sites. Yet, a high percentage of job boards do not capture any user information when they direct out to an external site. Think about your job board, what approach does your website implement? If you don’t require an user information, isn’t that a huge lost opportunity? Reward your job board for the hard efforts to attract site users and interested candidates in applying. By capturing at least some candidate user information, you can add them to your on-going marketing campaigns with the hope for the user to use your site moving forward. When your advertiser wants you to drive traffic back to their company website to fill out the application, it becomes extremely challenging to track the conversion rates and determine if your job board resulted in a hire. Yes, you can embed a tracking code, but if you are not capturing any candidate information, how can you tell which user came from your site from a number. Therefore, by implementing the quick registration or requiring the candidate to log into their account, you at least know the first and last name as well as the email address. 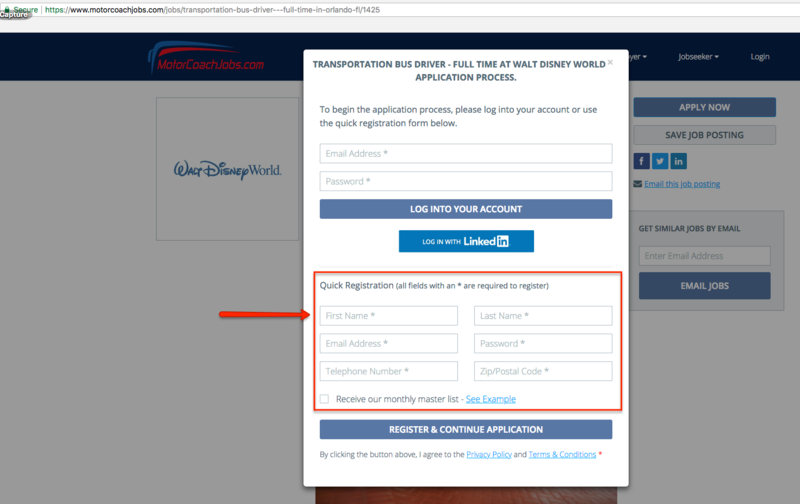 This provides your team with the valuable candidate data to share when the advertiser is attempted to verify your services. Below, is an example of how your job board can see the application date, employer, job title, candidate first and last name and application method. More valuable information for your sales team as well as the advertiser to cross reference their ATS. Tracking user data when a candidate is required to apply on an external site will make your sales team life easier and clients ability to track the effectiveness of your audience. 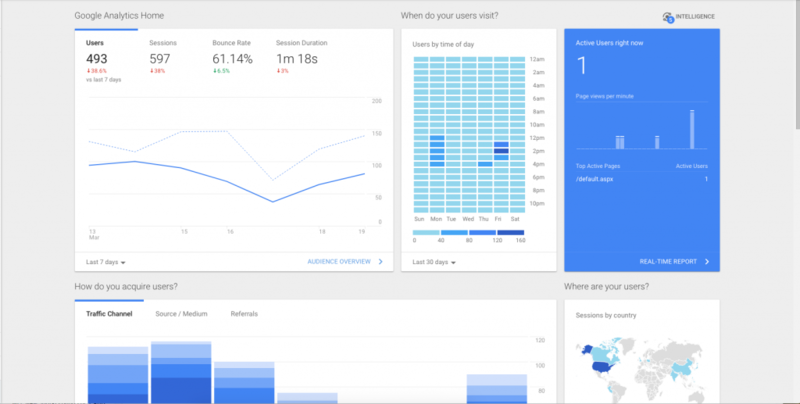 Google analytics or another other 3rd party analytics tool is essential to understand the key metrics of your website. I would expect almost every job board has implemented Google Analytics or a tracking program on their website. If you haven’t, please do! As a job board, you are an online marketer. 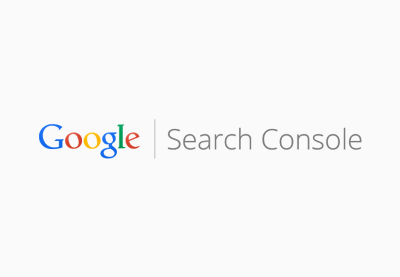 Google Search Console will be your new best friend…use this free tool! Registered employers (I bet you have seen employers fill out the initial registration page, only to stop the rest of the registration) you should track this! 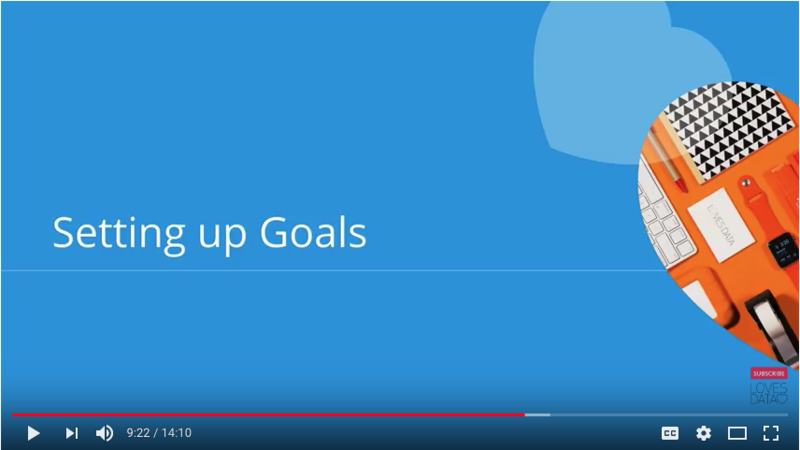 By setting up Goals in Google Analytics, you can measure how many users complete your outlined goals. And, most importantly, for our topic at hand, you can measure what source the users are coming from. So, if you are like other job boards, you may be advertising with an aggregator like Indeed, Zip Recruiter, TopUSAJobs, etc. You can now effectively track the conversion rates and modify your marketing spend. May be more advanced than your current setup. If and when you implement Google Adwords to your marketing campaigns, make sure to link your Adwords account to your Google analytics account. According to Google, salary information is missing from over 85% of job postings in the U.S today. And, salary range is ranked as the second highest item in the job posting that impacts the jobseekers decision to apply. An added tip for you: Also, focus on adding benefits to your job posting description page. This is ranked third item in the job posting that impacts the jobseeker decision to apply. Note as the salary range and benefits are listed in the job posting page. If you haven’t already, make sure to confirm your job board to the Google For Jobs requirements. 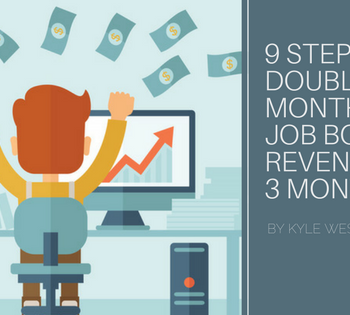 As we have previously documented, upon implementing our client sites to conform to Google For Jobs, the organic traffic within one week doubled the previous monthly averages. Google has continued to refine their requirements such as adding more criteria for salary information and specific location. The address information is interesting because more users are typing into Google “sales jobs near me” and if you job board requests the specific address of the business, this significantly increases your chances of the corresponding jobs showing up in the search results. Here is the schema to update your feed with Google. These initiatives should be your core products and I would bet that a vast majority of your revenue continues to come from job postings. Yet, isn’t there more effective ways to drive applications than simply posting a job on your site? Our belief is job boards should move more to proactive recruiting methods like Targeted Email and SMS campaigns. This will allow your job board to understand the ideal candidate profile your employer is attempting to reach and delivering a tailored message to those individuals through email or a text message. To give you a frame of reference, approximately less than 10% of job boards offer targeted email campaigns to a specific list of registered candidates on their site. 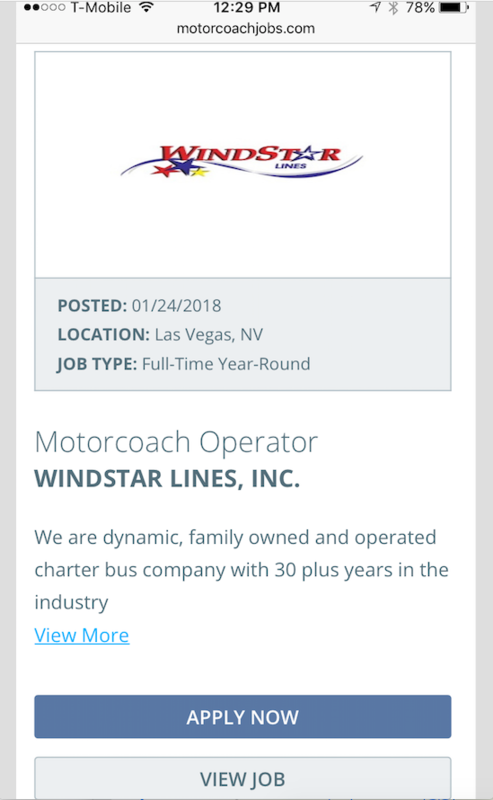 And, from a revenue perspective, we have seen job boards charge up to 6 times their standard job posting ad to send such a personalized email campaign. The same concept remains here, as you can leverage your database of candidates to identify a group of registered users that match the ideal profile for your advertiser. SMS is becoming more popular in the recruitment space considering the highly effective nature of reaching the audience. 98% open rate and over half of all responses coming in 15 minutes or less. Just wait until job alerts are delivered via text message! Improving aspects of your job board and strategy might seem a little complicated and time consuming at first, but it’s worth it in the long run. Not only does it improve the user experience for both your jobseekers and employers, but it also improves the bottom line for your business. If you have already established your job board and looking for ways to improve, you have everything you need to get started at your fingertips. Simply get started on implementing these suggestions with your team. Then measure the results! So what are you waiting for? Now that you know how to improve quality applications, your audience is waiting. 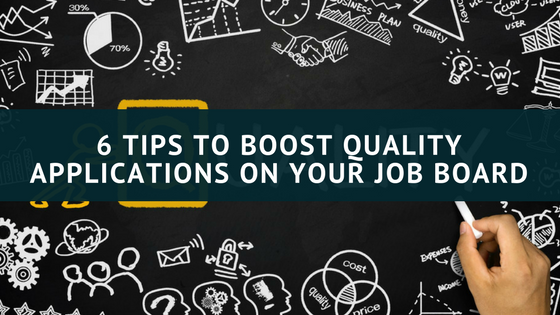 How do you boost quality applications through your job board?